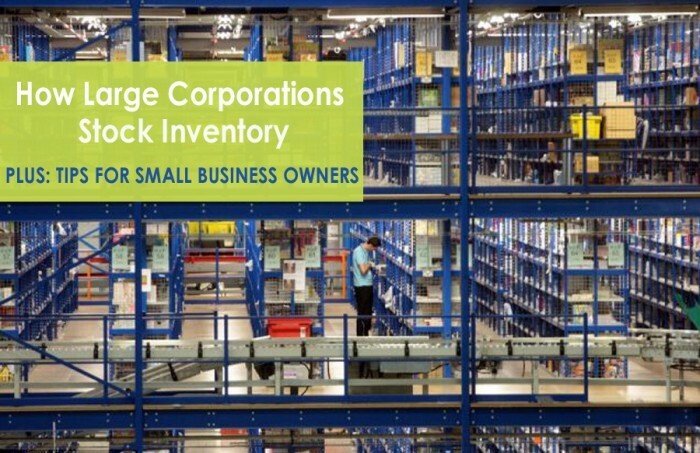 As a small business owner, do you often lie awake at night wondering how giant companies stock their product? How their distribution and orders are performed quickly and often without error? With the help of shelving systems, of course! 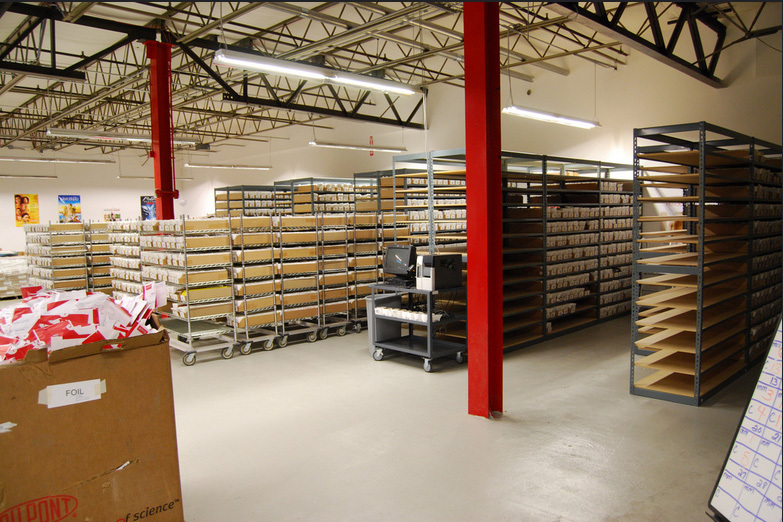 Installing the proper shelving in a distribution center or warehouse, be it big or small, is crucial in insuring an efficient and safe environment. 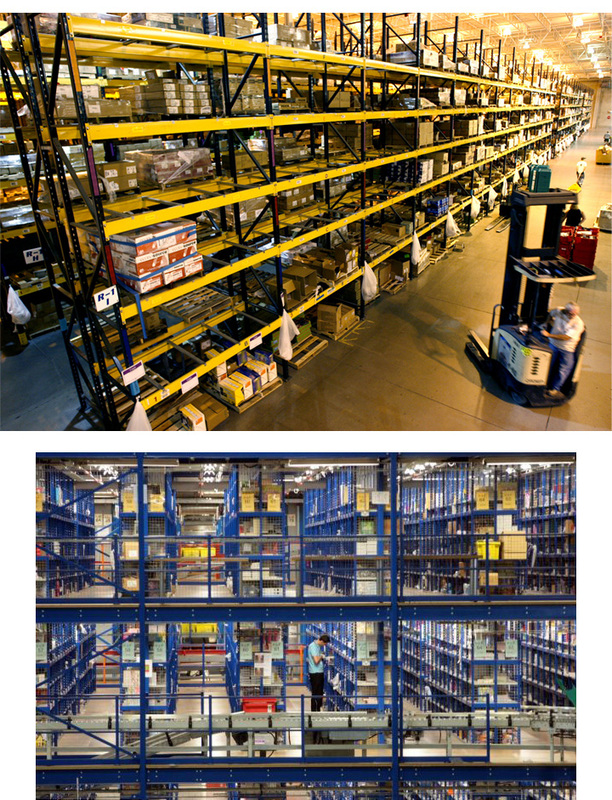 Check out how some of the world’s largest corporations use shelving to keep stock in order. You may even find what your business has been missing! At a fufillment center for Amazon, bulk racks inside mezzanines are used to house the millions of products listed on their site. Currently, over 20,000 people are employed through Amazon’s fufillment centers in the U.S. alone! Mezzanines create room for lots of storage without crowding or the need to climb. This means product gets pulled quickly! Netflix has incorporated both wire and rivet shelving to sort through DVD returns and orders. By using wire shelving on casters, they’ve created a space-saving mobile aisle system that can easily be moved, added onto or re-organized.